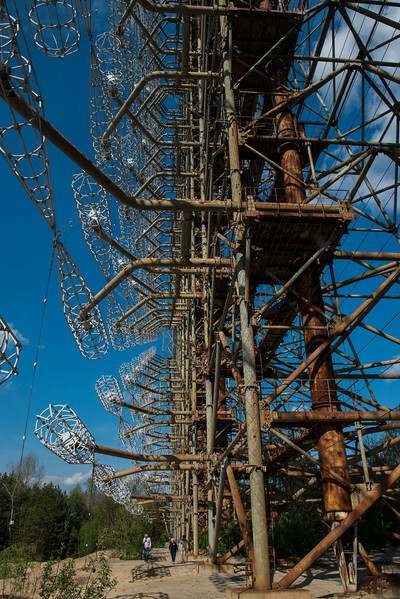 The notorious Russian Duga "Over-the -Horizon" Radar Installation. Commonly called "The Woodpecker" due to the repetitive sporadic ticking noises it delivered to various radio receivers throughout Europe. It stands almost 500 feet tall and 546 yards long (500 meters).